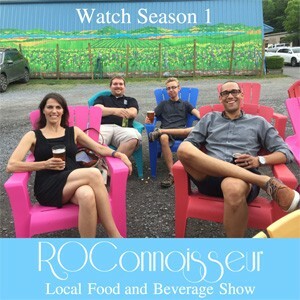 ROConnoisseur visits four locations in this Summer Themed Episode. First we’ll go to Texas BBQ Joint for Brisket and Outlaw Potatoes, then it’s off to The Vesper for their Chicago Style Hot Dogs and Taco Tuesday special. After that is a sweet treat courtesy of Brown Hound Downtown’s unique ice cream selections, and finally we ended our Summer Tour with some much needed detox at Soul Juicin’ on the Pittsford Canal.